I posted about this property back on June 11, 2017 when I chose it as a “Flip of the Week.” You should click on that date link and read the post to appreciate the full impact of its recent relist. So, here’s the relist as I saw it on July 20th. This is actually the second price drop since the property’s flip list on June 9, 2017. By the way, the buyer’s decision to meet the asking price - when a property is snapped up that fast you can be certain the asking price was met or exceeded - had a spectacular effect on the 2018 assessment. It soared 48.3% - one of the largest I’ve come across for the Sunshine Coast. I made an attempt to try and track properties with significant price changes starting back in mid-2017. I had to put the project on hold for a period of seven or so months. I resumed at end of April this year, but now I can barely keep up with the price drops let alone the flips - properties sold in 2016, 2017 are even early 2018 are coming back on the market. New builds are in for a rough ride. 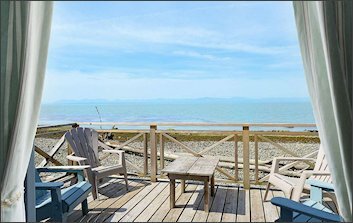 Six new single detached “Residences at Tyler Heights” in West Sechelt are 83 days and counting since they went on the market back in early May. 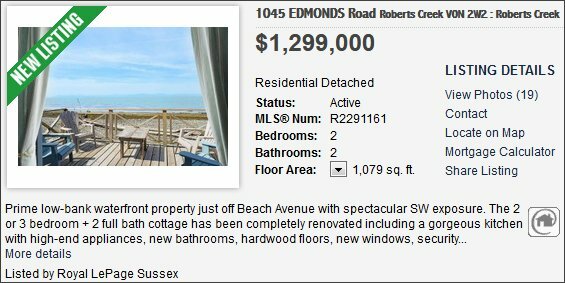 Their list prices range from $619,900 (1305sf/3bd/2ba) to $699,900 (1416sf/3bd/2ba). None of these homes have a crawl space let alone basements; so, if a buyer needs a mortgage helper he or she will have to take in a boarder...or, borrow more money and figure out a way to squeeze a 250sf tiny house onto their humongous 0.13 acre lots. Labels: SC - 2018...YA BURNT!!! I just found your site. I'm looking forward to more! Glad you found me Anonymous especially since I have next to no ranking in Google. How did you find me, by the way? Also, happy to read you look forward to more posts. Be patient, tho, cuz I can be slow. Cheers!